A DARPA-funded research team has created a novel minimally invasive brain-machine interface and recording device that can be implanted into the brain through blood vessels, reducing the need for invasive surgery and the risks associated with breaching the blood-brain barrier when treating patients for physical disabilities and neurological disorders. The new technology, developed by University of Melbourne medical researchers under DARPA’s Reliable Neural-Interface Technology (RE-NET) program, promises to give people with spinal cord injuries new hope to walk again. 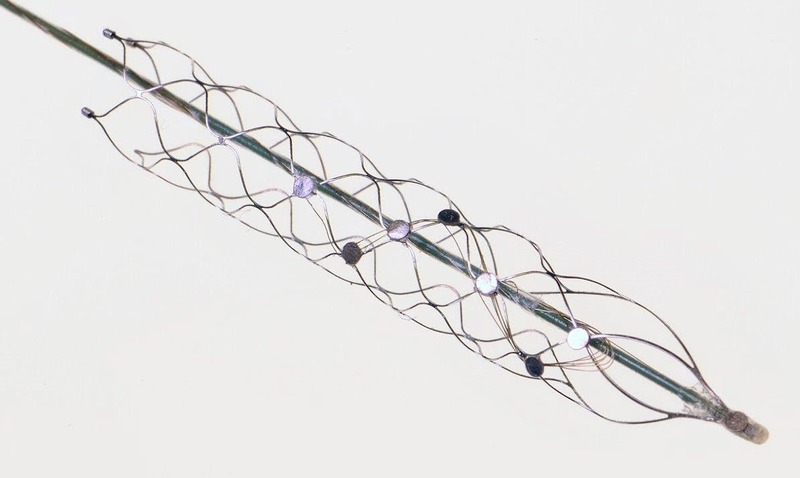 The brain-machine interface consists of a stent-based electrode (stentrode), which is implanted within a blood vessel next to the brain, and records the type of neural activity that has been shown in pre-clinical trials to move limbs through an exoskeleton or to control bionic limbs. The new device is the size of a small paperclip and will be implanted in the first in-human trial at The Royal Melbourne Hospital in 2017. The research results, published Monday Feb. 8 in Nature Biotechnology, show the device is capable of recording high-quality signals emitted from the brain’s motor cortex without the need for open brain surgery. “We have been able to create the world’s only minimally invasive device that is implanted into a blood vessel in the brain via a simple day procedure, avoiding the need for high risk open brain surgery,” said Thomas Oxley, principal author and neurologist at The Royal Melbourne Hospital and Research Fellow at The Florey Institute of Neurosciences and the University of Melbourne. Stroke and spinal cord injuries are leading causes of disability, affecting 1 in 50 people. There are 20,000 Australians with spinal cord injuries, with the typical patient a 19-year old male, and about 150,000 Australians left severely disabled after stroke. “The electrode array self-expands to stick to the inside wall of a vein, enabling the researchers to record local brain activity. By extracting the recorded neural signals, we can use these as commands to control wheelchairs, exoskeletons, prosthetic limbs or computers. In our first-in-human trial, that we anticipate will begin within two years, we are hoping to achieve direct brain control of an exoskeleton for three people with paralysis,” he said. Professor Clive May, neurophysiologist at The Florey, said the data from the pre-clinical study highlighted that the implantation of the device was safe for long-term use. “Our study also showed that it was safe and effective to implant the device via angiography, which is minimally invasive compared with the high risks associated with open-brain surgery. The authors note that “avoiding direct contact with cortical neurons may mitigate brain trauma and chronic local inflammation,” subject to additional evaluation. 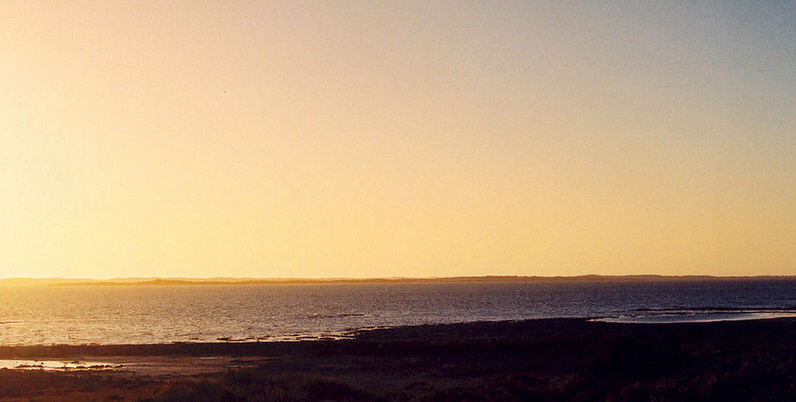 In addition to DARPA, the research was supported by Australia’s National Health and Medical Research Council, the U.S. Office of Naval Research Global, The Australian Defence Health Foundation, The Brain Foundation, and The Royal Melbourne Hospital Neuroscience Foundation. Meanwhile, in related research (also based on initial funding from DARPA), SuitX, a spinoff of UC Berkeley’s Robotics and Human Engineering Laboratory robotics lab, introduced last week the Phoenix — a new lighter, more agile and lower-cost manually controlled exoskeleton. The Phoenix is lightweight and has two motors at the hips and electrically controlled tension settings that tighten when the wearer is standing and swing freely when they’re walking. Users can control the movement of each leg and walk up to 1.1 miles per hour by pushing buttons integrated into a pair of crutches. It’s powered for up to eight hours by a battery pack worn in a backpack. 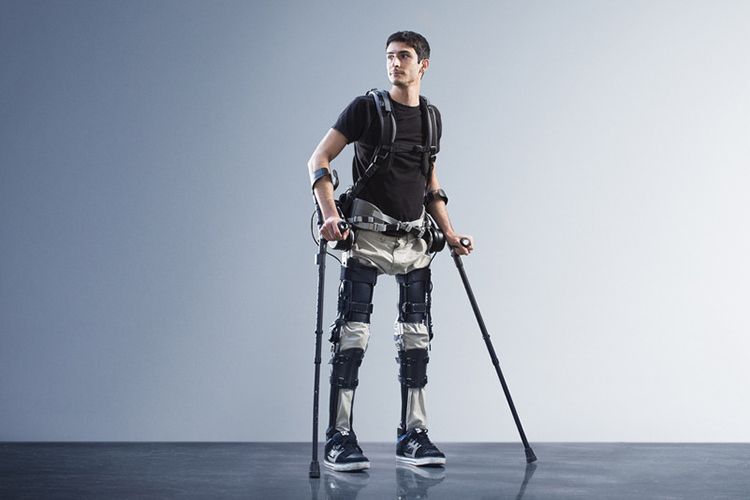 Developed from the Berkeley Lower Extremity Exoskeleton (BLEEX), the Phoenix is one of the lightest and most accessible exoskeletons available, according to SuitX. It can be adjusted to fit varied weights, heights, and leg sizes and can be used for a range of mobility hindrances. At $40,000, it’s about the half the cost of other exoskeletons that help restore mobility. High-fidelity intracranial electrode arrays for recording and stimulating brain activity have facilitated major advances in the treatment of neurological conditions over the past decade. Traditional arrays require direct implantation into the brain via open craniotomy, which can lead to inflammatory tissue responses, necessitating development of minimally invasive approaches that avoid brain trauma. Here we demonstrate the feasibility of chronically recording brain activity from within a vein using a passive stent-electrode recording array (stentrode). We achieved implantation into a superficial cortical vein overlying the motor cortex via catheter angiography and demonstrate neural recordings in freely moving sheep for up to 190 d. Spectral content and bandwidth of vascular electrocorticography were comparable to those of recordings from epidural surface arrays. Venous internal lumen patency was maintained for the duration of implantation. Stentrodes may have wide ranging applications as a neural interface for treatment of a range of neurological conditions. Researchers at The City College of New York (CCNY) have determined the optimal wavelengths for bioimaging of the brain at longer near-infrared wavelengths, which permit deeper imaging. 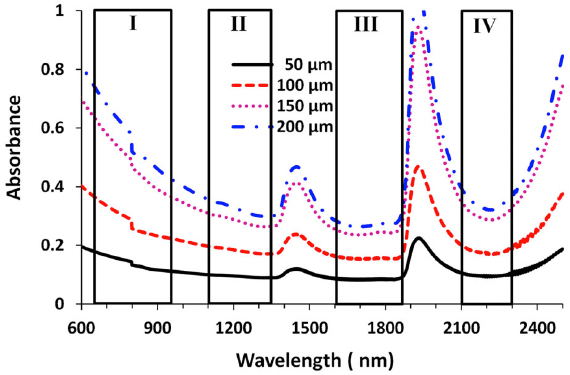 Longer infrared wavelengths penetrate deeper but are limited by Rayleigh and Mie scattering, which blur images, and absorption, which reduces the number of available photons (brightness). These limitations are based on the lack of suitable CMOS semiconductor imaging detectors or femtosecond laser sources. The new CCNY study, led by biomedical engineer Lingyan Shi, studied three new optical windows in the near-infrared (NIR) region, in addition to Window I, for high-resolution deep brain imaging. Their study built on a prior CCNY study* in 2014 using detectors based on indium gallium arsenide (GaAs) or indium antimonide-(InSb) and a femtosecond excitation source of IMRA fiber laser** to image rat brain tissue in window II (1,100– 1,350 nm), window III (1,600–1,870 nm), and window IV (1600 nm to 1870 nm, centered at 2,200 nm). The new CCNY research investigated the optimal wavelength band and optical properties of brain tissue with NIR, including the total attenuation coefficient (μt), absorption coefficient (μa), reduced scattering coefficient (μ0 s), and the scattering anisotropy coefficient (g) in these optical windows. The purpose of the study was to determine an optimal optical window in NIR in the 650 nm to 2500 nm range to reduce scattering, achieve optimal absorption, and reduce noise for deep-brain tissue imaging. The researchers found that the “Golden Window” (1600 nm to 1870 nm) is an optimal wavelength range for light penetration in brain tissue, followed by Windows II and IV. “This is a first for brain imaging and proved theoretically and experimentally that deep imaging of the brain is possible using light at longer wavelengths. It demonstrates these windows’ potential for deeper brain tissue imaging due to the reduction of scattering that causes blurring,” said Shi, a research associate in City College’s Institute for Ultrafast Spectroscopy and Lasers, and the biology department. Published by the Journal of Biophotonics, her study sheds light on the development of the next generation of microscopy imaging technique, in which the “Golden Window” may be utilized for high-resolution deeper brain imaging. The next step in the research is in vivo imaging in mice using Golden Window wavelength light. Shi’s team included Distinguished Professor of Physics Robert R. Alfano and Adrian Rodriguez-Contreras, an assistant professor of biology. Shi earned a Ph.D. in biomedical engineering from CCNY’s Grove School of Engineering in 2014. * L. A. Sordillo, Y. Pu, S. Pratavieira, Y. Budansky, and R. R. Alfano, J. Biomed. Opt. 19, 056004 (2014) [link]. ** Excitation wavelength 1680 nm, power > 200 mW, pulse width 100 fs, and 50 MHz repetition rate. Near-infrared (NIR) radiation has been employed using one- and two-photon excitation of fluorescence imaging at wavelengths 650–950 nm (optical window I) for deep brain imaging; however, longer wavelengths in NIR have been overlooked due to a lack of suitable NIR-low band gap semiconductor imaging detectors and/or femtosecond laser sources. This research introduces three new optical windows in NIR and demonstrates their potential for deep brain tissue imaging. The transmittances are measured in rat brain tissue in the second (II, 1,100–1,350 nm), third (III, 1,600–1,870 nm), and fourth (IV, centered at 2,200 nm) NIR optical tissue windows. The relationship between transmission and tissue thickness is measured and compared with the theory. Due to a reduction in scattering and minimal absorption, window III is shown to be the best for deep brain imaging, and windows II and IV show similar but better potential for deep imaging than window I.
Lingyan Shi, Laura A. Sordillo, Adrián Rodríguez-Contreras, Robert Alfano.